TRIALS AND TOURS | Carol Sheldon writes books exploring times-past through mystery, love, betrayal and murder. ← A SLEUTH IN SAUSALITO AVAILABLE! I received my first printed copy of A Sleuth in Sausalito last week, but alas, as I proofed it once again I found many errors, and sentences I thought needed re-wording. I think the writer sees what’s supposed to be there, not what is. I gave it to another proof-reader who found several more instances of missing words like is and the. So it will take a couple of weeks to get the corrected copy available on Amazon. Agh! I will let you know when the corrected copy is ready to order on Amazon. 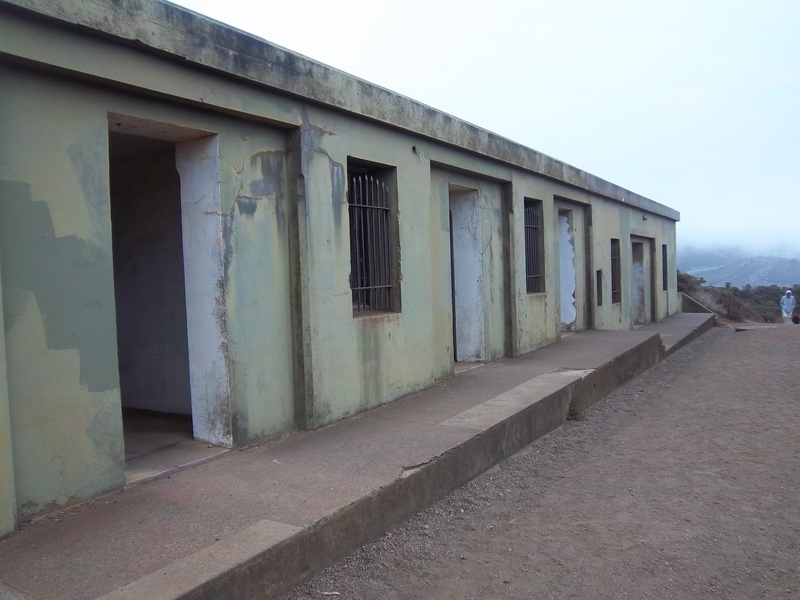 Old military Admin offices in the headlands battery. 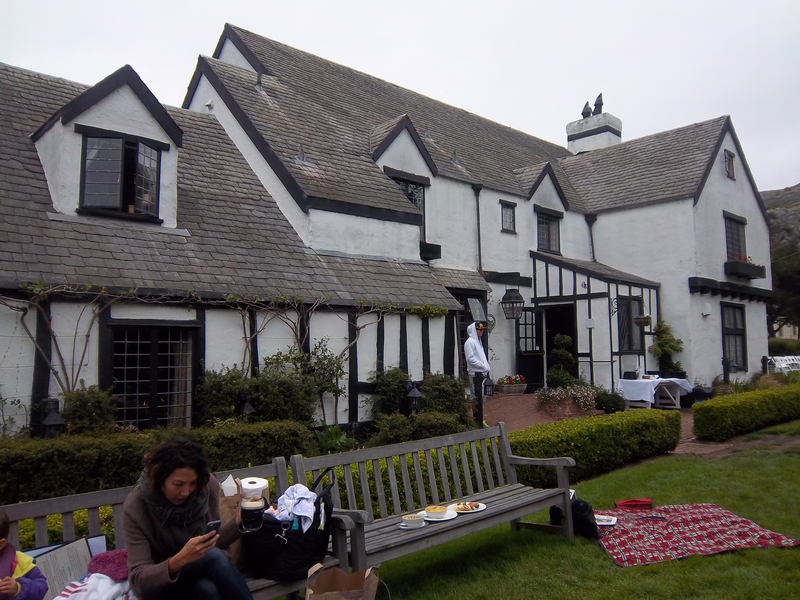 Meanwhile, yesterday my friend and I took a tour around the headlands, visited some real sites where scenes in the book take place—the hostel where Gwen stays, the building in the headlands where the climax of the book occurs, the road with all the switchbacks down to Stinson Beach, and Pelican Inn, a very quaint English style pub and restaurant. 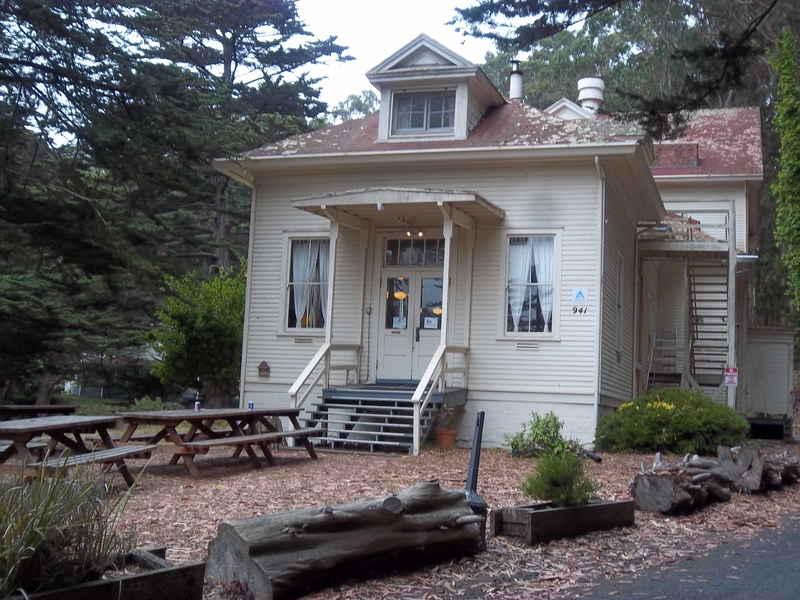 This entry was posted in Historical Fiction and tagged mystery, Sausalito. Bookmark the permalink. Congratulations on your new book Carol dear. Wish I could have proofed it before printing but my life is so full of ………trying to keep up with things……didn’t want you to wait for me.